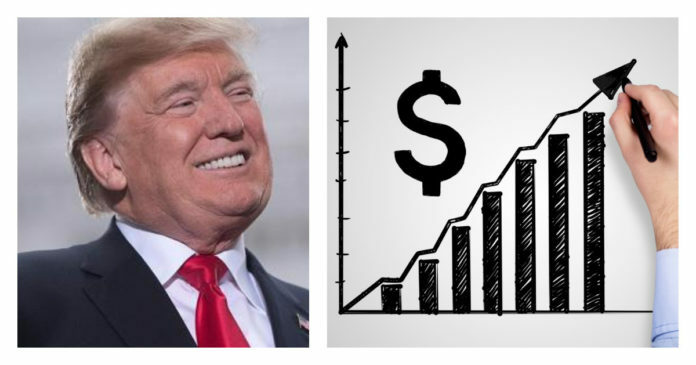 Unless you’re a dyed in the wool leftist, it should come as no surprise that President Trump’s policies have brought about significant economic growth in the past year. The eight years prior to Trump, the nation suffered from uncertainty and far-Left economic policies, so the moment the pro-business Trump was announced victorious in the 2016 election, the markets immediately began responding accordingly. Trump’s America first, free-market policies have bolstered gains across the board, even getting progressive companies to bring the money they’ve hoarded overseas back into the US for reinvestment. Looking at the numbers, there are a lot that sticks out, but the most eye-catching is the historic rise in the stock market. As reported at CNBC, Trump’s presidency has seen the Dow Jones industrial average rose more in his first year than any other president since Franklin Roosevelt during the Great Depression. The Dow has risen more than 31 percent since Trump’s inauguration on January 20, 2017. That marks the index’s best performance during a president’s first year since Roosevelt. The Dow rose 96.5 percent during Roosevelt’s first year in office, largely due to the fact that it had collapsed and had nowhere to go but up. Upon taking office, Trump moved quickly to slice up many of the regulation put in place by Obama. And as of December, when the GOP’s monumental tax bill was passed, the US no longer has the world’s highest corporate tax rate, as it was slashed from 35 to 21 percent. 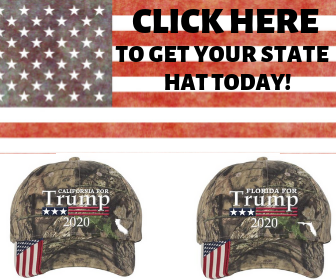 Of course, some folks are determined not give the president his due, citing anything other than his free-market policies and attitude as the primary driver. Skeptics and haters can attribute the gains to whatever they like, the fact remains that it’s happened on Trump’s watch. Plus, their refusal to give him credit is transparently partisan, as the president explicitly called on and even threatened companies to stop shipping jobs and money overseas, which they’ve responded to–even before the massive tax cuts. It’s clear that Trump’s America first policies are driving the market’s growth and optimistic outlook. Now the question is for how long will the growth continue and will it be enough to see him reelected in 2020.